Redact sensitive data from PDFs. Is there a better alternative to Redactor? Is Redactor really the best app in Word Processing category? Will Redactor work good on macOS 10.13.4? Redactor is a new way to redact PDF's. Redactor can predict and automatically redact names from a PDF. 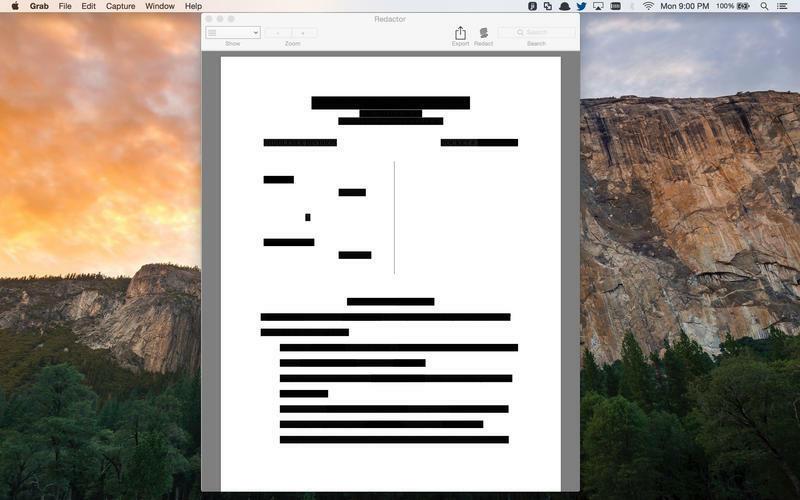 Simply review the predictive redactions and save your PDF. Redactor also offers the simplest way to redact words in a document. 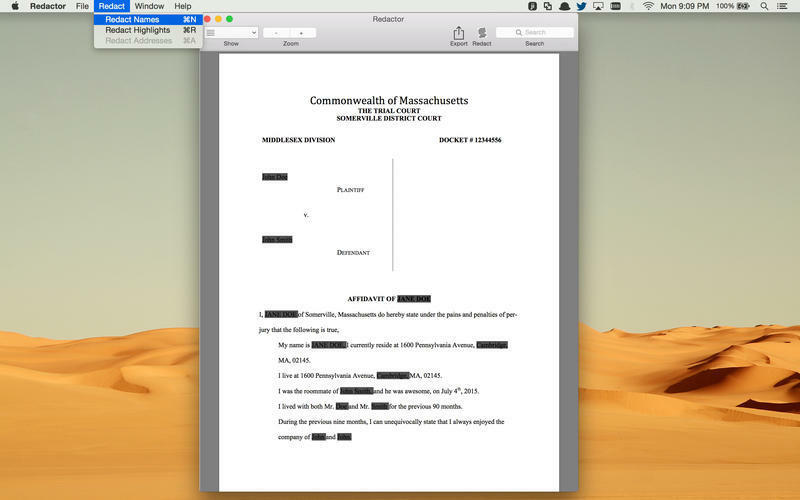 Simply click your way through the document or highlight and redact. Redactor will remove all the Meta-Data and hidden content automatically. Redactor was built to be the most efficient redaction tool on the market. Simply click your way to a redacted document. Redactor needs a rating. Be the first to rate this app and get the discussion started! 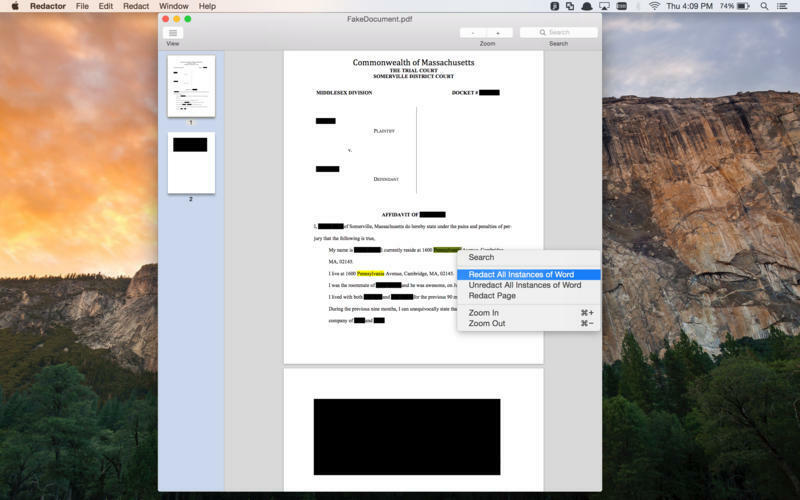 Redactor can also redact scanned PDFs because it automatically OCR's the document using in app Optical Character Recognition (OCR). Simply open any PDF and Redactor will OCR the document, search for names and remove them with one click. Redactor can even redact handwriting in high quality scans with the click of the mouse.